Brown Select Satsumas are a great snack for kids! They're seedless, easy to peel and break into sections. Not Available in Arizona, Alaska, California, Louisiana, Hawaii or Texas. Brown Select Satsumas produce a Medium sized, bright orange fruit that has a slightly bumpy rind. 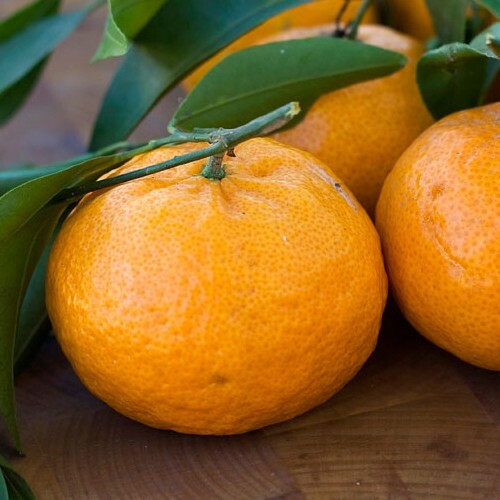 This seedless fruit has an extremely sweet and sprightly flavor. They are very easy to peel and the fruits easily break off into segments. 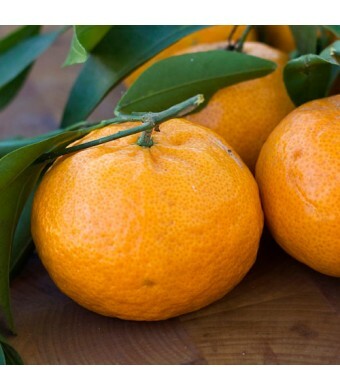 Brown Select Satsumas have a cold tolerance that extends to the mid-20s. They can be grown outdoors in USDA zones 9 - 11, or as a container-grown tree in other regions of the U.S. When temperatures of 26 degrees or colder are forecasted, this tree must be brought indoors. Brown Select Satsumas work great as a patio plant. The trees produce abundantly indoors or out. Simply place your Satsuma in front of a sunny window and pick fresh fruit throughout the winter.